Labor Day sun on Lake Billy Chinook. The dawn of human history began with Creator God introducing Himself to His most precious designs, Adam and Eve and placing them in the Garden He had prepared just for them. (Genesis 1-2) How I would love to have overheard the conversations that God and the first couple had while walking in the Garden (Genesis 3:8), but sadly the one conversation we do know about is when God confronted them with their first sin. Even though the relationship between God and mankind changed after sin entered the world, humanity still had an innate understanding of the relationship between humanity, deity and creation. Even now, many people enjoy the beauty of nature and know that there must be a Creator much bigger than they are. Whether or not they have a personal relationship with God, most people understand the beauty and value of nature. To what extent they act upon the appreciation of nature varies greatly. Some people know God and worship Him in humble appreciation of the world He created. Psalms 8 and 19 are two examples of worship songs written in response to the majesty of nature. Others are not convinced of the existence of God as revealed in the Bible and have come up with a wide range of explanations for the origins of the universe and humanity. Romans 1:20 states that “For since the creation of the world God’s invisible qualities—his eternal power and divine nature—have been clearly seen, being understood from what has been made, so that people are without excuse.” (NIV) This is God’s way of telling us that we as humanity should be able to recognize the workmanship of God through His creation. Nature itself speaks of the majesty of God and the proper response to creation is through worship of the Creator God. It could be said that nature is God’s nice way of revealing Himself to humanity. 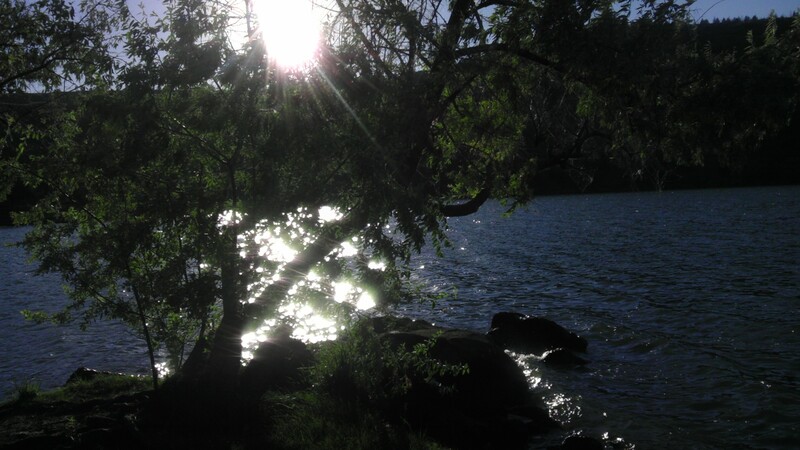 In these waning days of summer, take some time to get out in nature and enjoy the world that God made just for us! Thank Him and worship Him for all His handiwork; smell some flowers, breathe in the fresh air, listen to the birds, the waves, the breeze through the trees and know that God is so very good! 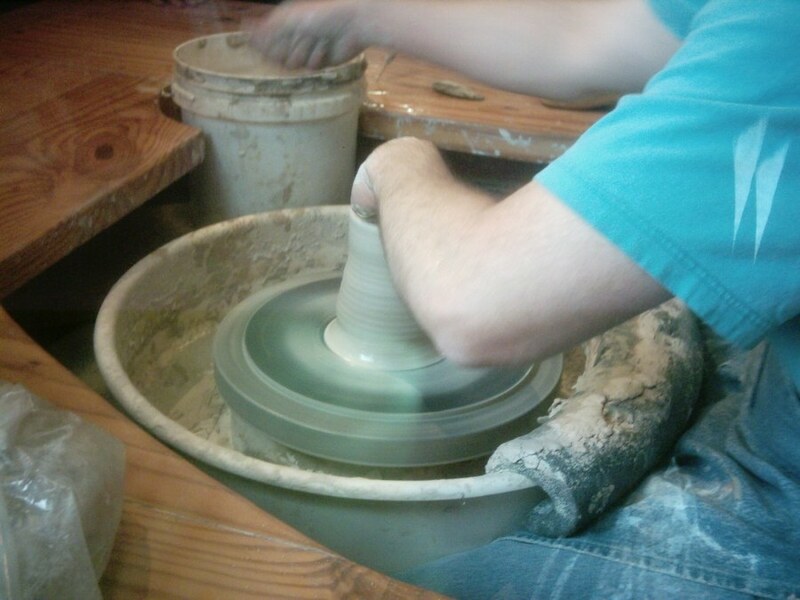 North Carolina Potter photo by gurdonark on Flickr. I love object lessons because they can be very powerful teaching tools. God knew this when He told Jeremiah to “Go down to the potter’s house, and there I will give you my message.” (Jeremiah 18:2, NIV) The art of pottery seems to have changed very little in the past three thousand years, because Jeremiah went to the potter’s house and found him making something at the wheel. This passage makes it clear that God considers the actions of the people in deciding the fate of nations. It is entirely up to God to decide which nations will rise up and which will be torn down, but the hearts, lives and faith of the inhabitants play an important role in the success or downfall of every nation. God does not just randomly build kingdoms and then destroy them like a child playing with Legos; He blesses those nations whose citizens obey Him and are faithful to His Word. Likewise, God gives plenty of warning to nations that reject Him long before the destruction comes. What about our country? Is God blessing us because of our faithful obedience or are we being warned to repent before destruction comes? Whatever your opinion about the current state of affairs; the one thing that doesn’t change is that God wants to have a personal relationship with us, His most precious creations. The fate of each nation in our world depends on our faithfulness and obedience to His perfect will. If we really want to save the world, then we need to live the lives that God asks us to live; today and every day! Photo by familymwr on Flickr. If you could ask the wisest man one question, what would you ask? The meaning of life? Next week’s winning Power Ball numbers? Why bad things happen to good people and vice versa? What is most important in life? We all have so many questions and so many dilemmas that we carry with us through life, with seemingly little relief and few meaningful answers. King Solomon had, for his time, endless resources in which to explore the deep meaning of life. He did it all, tried everything and came to a sorry conclusion: all that is meaningless. To him, all the endeavors one can take on in life are useless in the end. If you make a pile of money, have a successful business empire and all the trappings that life has to offer, you will eventually die and leave it all to somebody who did not have to work for it and can never fully appreciate your accomplishments. We are to enjoy our lives, where we are right now, rather than chasing after meaningless accomplishments and trappings that steal our joy during the chase and even after attaining them, should that ever happen. Find joy in the simple things, seek God in every mundane task. Go on, now, eat, drink and be merry!